At the end of this post is an update. I should have driven up the first road. It leads to Area 51. Yesterday I drove back to Las Vegas from Wendover. On the way I passed a bunch of stuff I had already photographed. Very nice drive, great scenery, but after awhile it all looks the same. Near the end of Nevada 318, basically where it meets 93, is a small, very small town, called Crystal Springs. It's more like a group of homes. Well, this is where Nevada 375 starts. 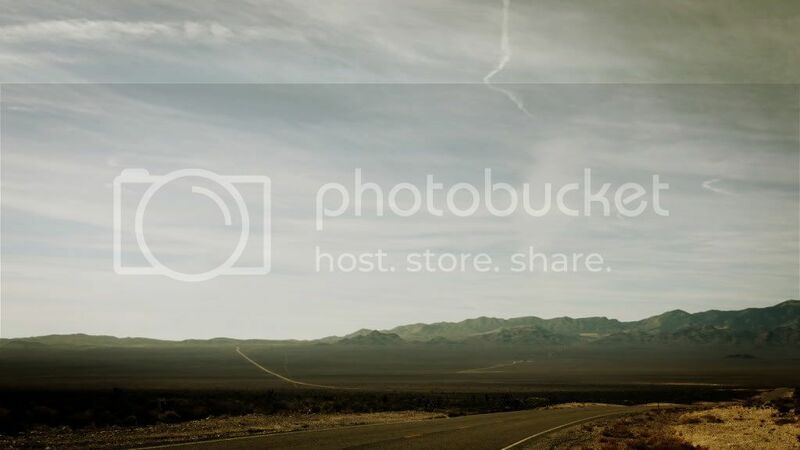 This part of 375 is also known as the Extraterrestrial Highway. 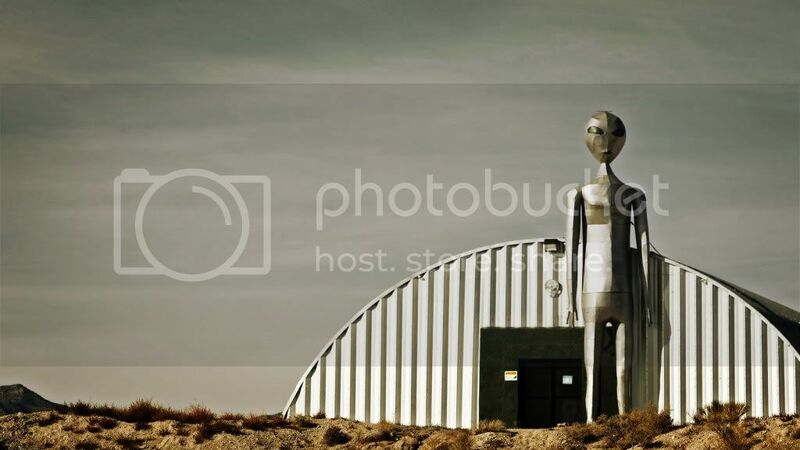 The Extraterrestrial Highway stretches from 318 to Rachel, NV, and is where 375 passes Area 51. Of course, I had to go and look. Like much of Nevada it is mountainous. There are mountains and hills and valleys. The road starts straight and then you drive through a curvy pass drive over a rise and you see a valley and the road straightens. You'll cross a cattle guard somewhere along the way. Much of this is open range. About 3 hundred yards past the rise I did see a dead cow with a crow perched on it...no picture. anyway, I drove all the way, about 30 to 40 miles, to Rachel, another small group of houses and buildings. Along the way I did stop and take a few pictures. Here's what I saw when I first started up 375. It's a shop and museum that sells souvenirs and maps...I didn't go in, just read the sign out front. I do like the alien...he's huge. Here's another shot of the road. It has no name but it does have a stop sign where it meets 375. I didn't see a "black mailbox" but I did see this at the end of another road...no name and a stop sign again. 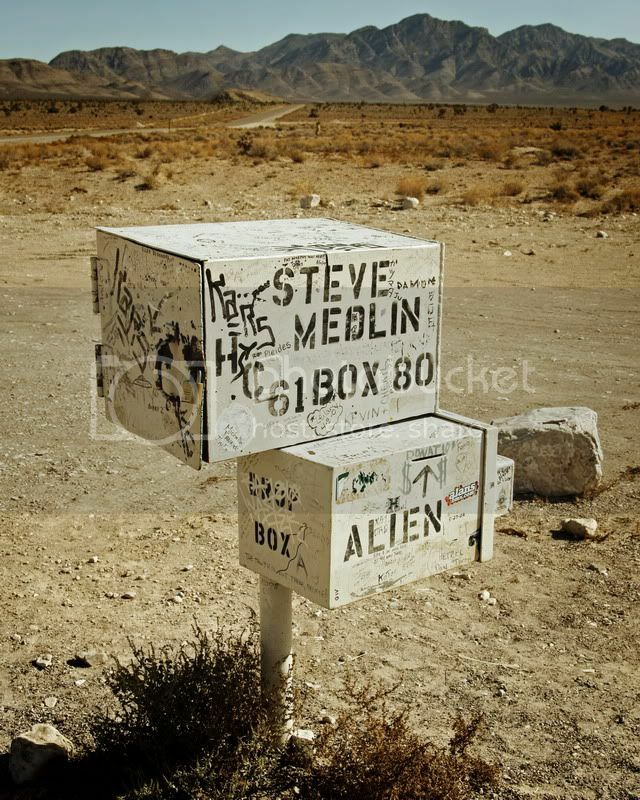 I believe this is the mailbox of area 51 lore. It's more like chipped faded white mailbox. It's about half way between Crystal Springs and Rachel. You can't miss it. It's the only thing you'll see out there. 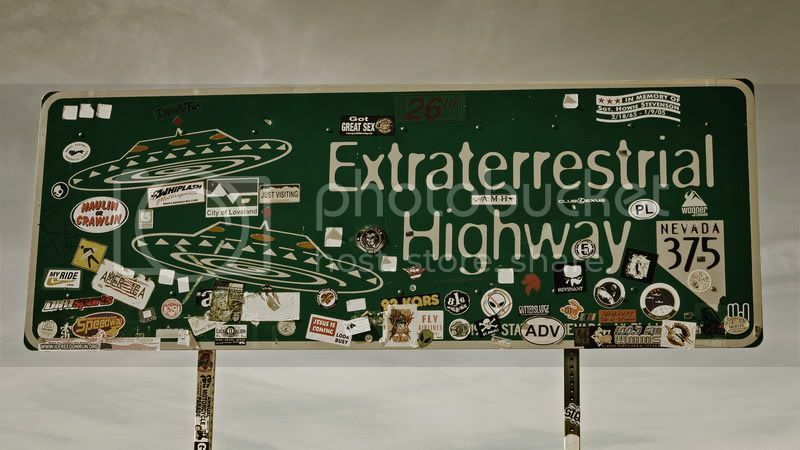 Here's the sign for the Extraterrestrial Highway just outside of Rachel, NV. I didn't see any UFO's. I did see a lot of dead snakes on the road and one live one. Interesting place. 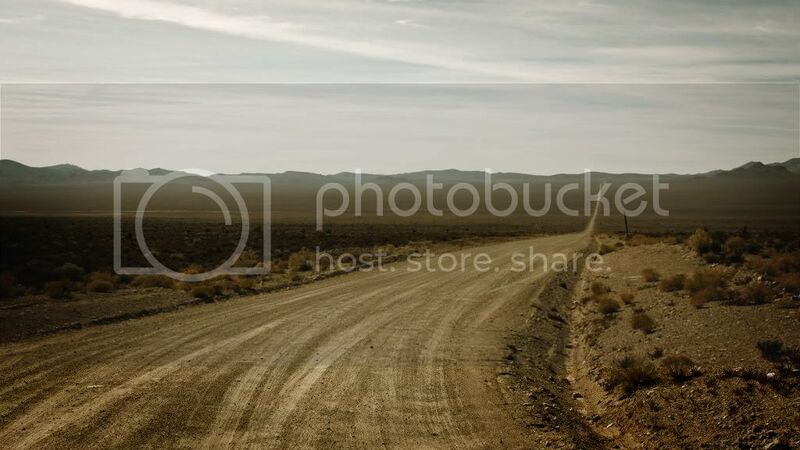 There are many dirt roads leading up to the mountains...again like much of Nevada. I wonder where these go. Here's a couple of satellite shots from Google Maps showing where I took a couple of these Photos. The roads do have names, Mailbox Rd. 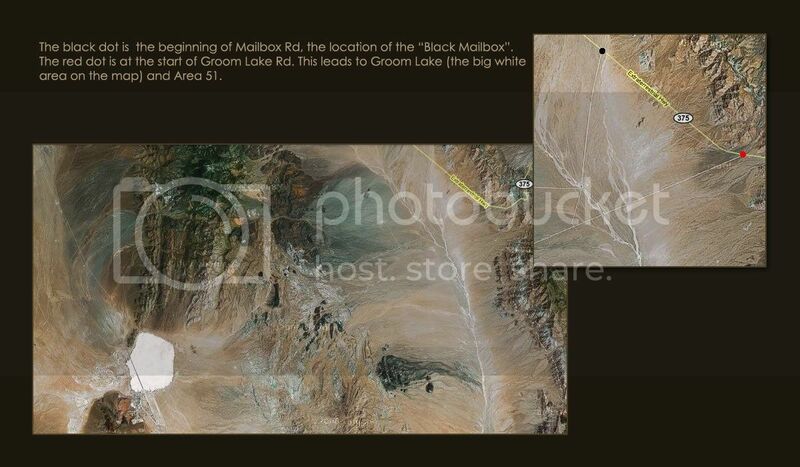 and Groom Lake Rd. I was closer to Area 51 than I thought. I should have drive up Groom Lake Rd. I guess before you get to the guardhouse and gate there are warning signs. Would have made a great shot.